Access to primary care dentists is not equal for all Kansans. Fewer people living in rural communities, limited access to all types of health care services, an aging dentist workforce and the high costs necessary to run and maintain a viable dental practice combine to produce an oral health care workforce crisis in rural Kansas. The map linked here shows the state’s Health Professional Shortage Areas. 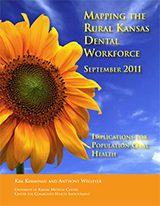 Kansas’ professional dental workforce is adequate to meet the oral health needs of its citizens. This includes having enough professionals to cover the state’s designated Health Professional Shortage Areas, and care for vulnerable populations in all parts of the state. This workforce must have adequate access to education in order to meet Kansas’ needs. b. 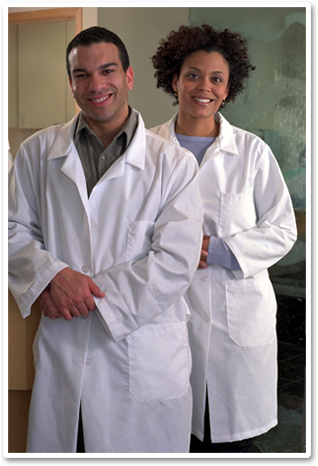 Educate policymakers on the safety and benefits of Registered Dental Practitioners and highlight research showing they are cost-effective. c. Mine data on mid-level providers from other states and countries. d. Continue to build a coalition of supporters. e. Implement public awareness campaign about Registered Dental Practitioners’ potential. 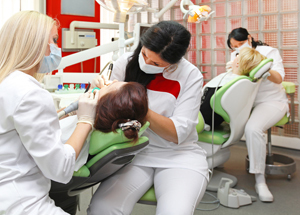 f. Inform dentists about benefits to use of Registered Dental Practitioners. a. Build relationships with pre-dental and dental students to educate them about Kansas practice options. b. Encourage return to rural/underserved communities (i.e., “Grow Your Own”). c. Work with current and potential employers on recruitment and retention. d. Educate and gain commitment of communities and economic development entities on future recruitment and retention of providers. e. Promote legislation to purchase ten seats at regional dental schools for Kansas students, with the stipulation that the students practice dentistry in Kansas for four years following graduation. a. Tie state and other funding sources to rural practice. b. Mirror the Kansas Medical Student Loan Repayment Program. a. Research models and assess capacity for teledentistry. b. Create a model(s) appropriate for Kansas needs. c. Draft legislation, with engagement of the Dental Board and KDA. d. Research and advocate for reimbursement methodology.